New Year’s Day has always been marked by special celebrations and traditions. One of the most ancient ways of welcoming in the New Year was the Mummer’s Dance. 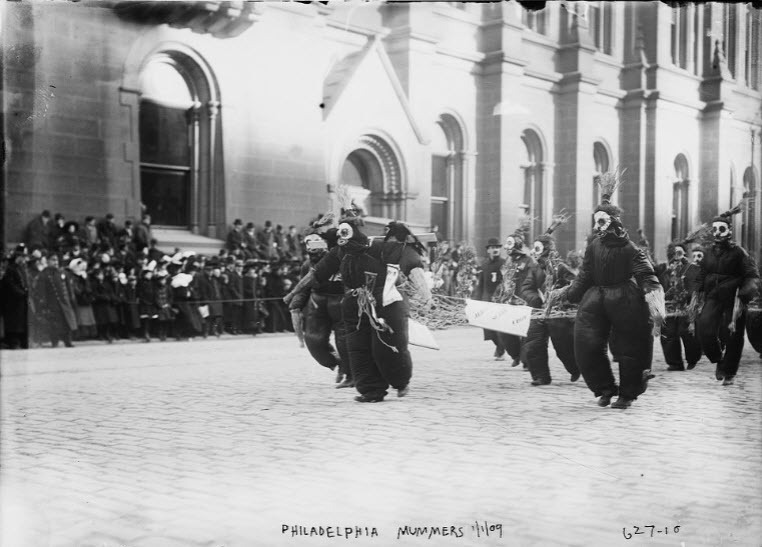 Here in this picture a group of costumed Mummers parade down a street of Philadelphia on New Year’s Day, 1909. Throngs of people including many children have lined the streets to watch the mummers. 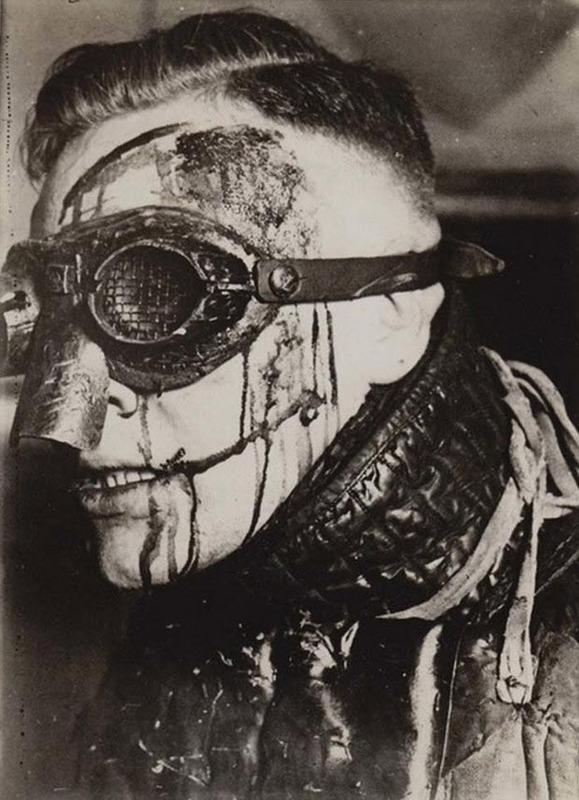 Traditional mummery (also called janneying) was a British in which people would dress in masks and disguises and visit the homes of neighbors incognito. They would be welcomed by the householders and there perform tricks, pantomimes, and songs. The hosts would attempt to guess the identity of their guests. Mummer’s costumes were often very elaborate, and sometimes scary looking. 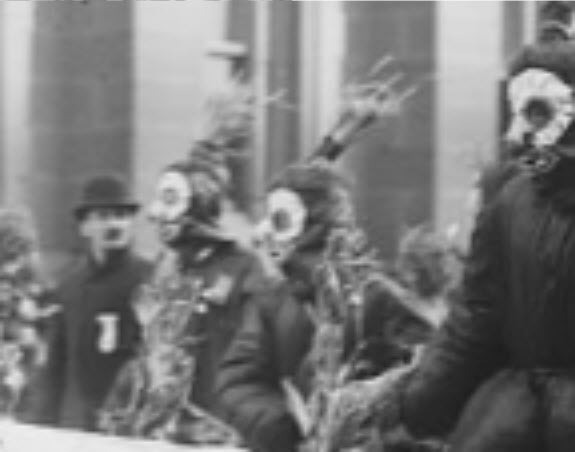 Despite roots that may have gone back to Druid times, the practice nearly died out after 1861 when a law was passed making it illegal to wear a disguise in public, after a man was robbed and killed by assailants dressed as mummers. However vestiges of this practice survived in the England, Ireland, and parts of the United States and Canada. Here are some close ups of the masks worn by these parading mummers. 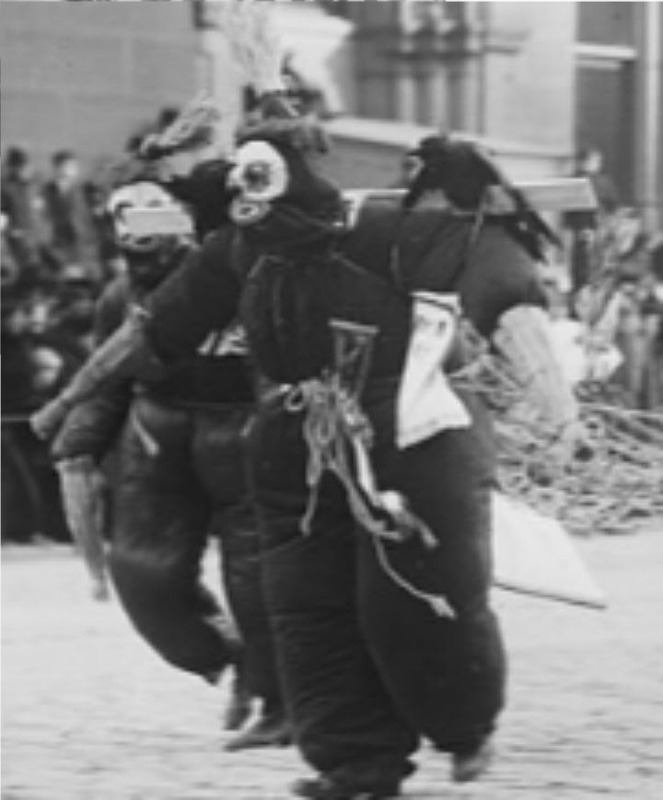 The mummer in the center of the picture above appears to be carrying two fake mummers attached to a beam supported by his shoulders. Above is a closeup of the mummers following the lead mummer with his scarecrow mummers hung over his shoulders. Note their elaborate head dresses. 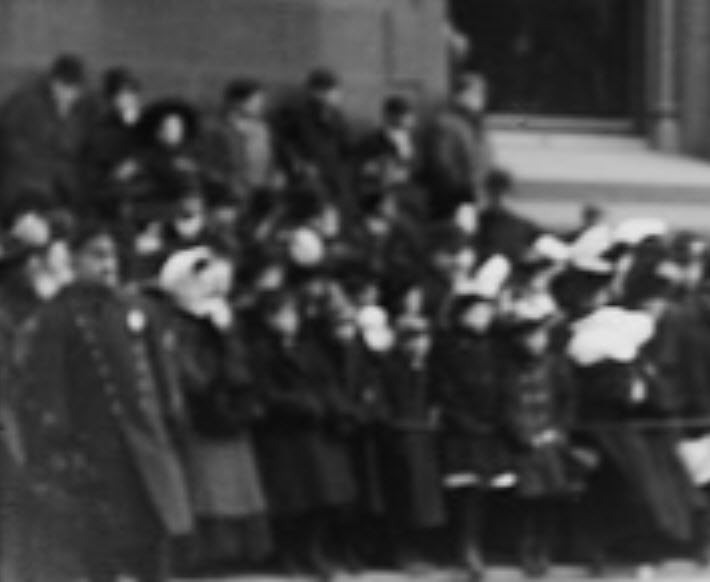 Here is a moment in time from New Year’s Day 1909, an America that no longer exists. Note the Sunday Best clothes worn by the girls as they attentively watch the spectacle in front of them.